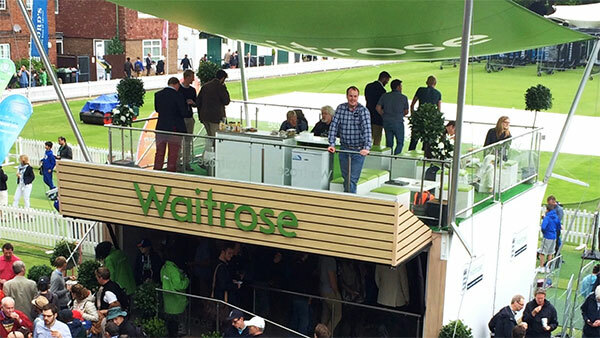 We designed a mobile pop up shop for Waitrose to help maximise the value of their sponsorship for the England Cricket team. The shop was mobile for 3 years engaging fans with an assortment of summer product to purchase and sample. The design replicated Waitrose’s new urban store look and also featured a roof terrace that provided a VIP area for ‘My Waitrose’ customers to access. The pop up was a great success resulting in over 40,000 products being sampled across 9 cricket grounds per summer, and retail sales averaged £150,000 per season.